The joint space mission is set to closely investigate the diminutive, sun-scorched planet, establishing an orbit around it sometime in 2025. B	B	epiColombo, the first mission to visit Mercury in 14 years, aims to give the diminutive, sun-scorched planet an epic close-up — but only if the probe arrives there safely. 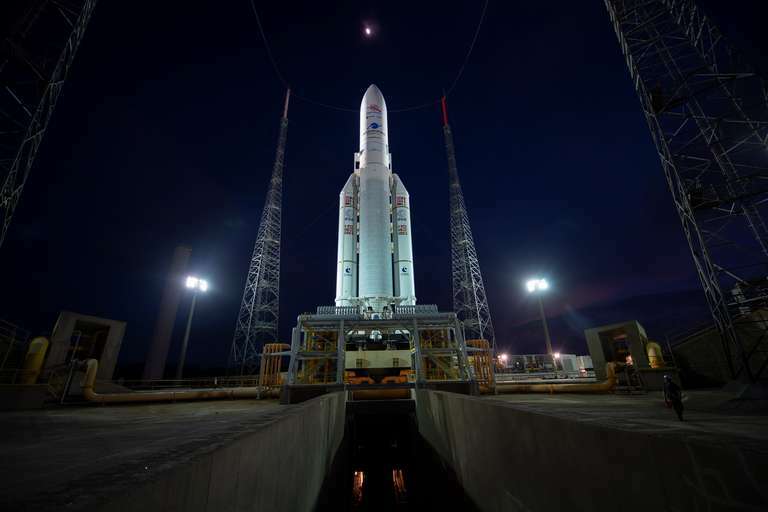 BepiColombo launched tonight from the European spaceport in Kourou, French Guiana, at 9:45 p.m. EDT (0145 GMT Oct. 20). The launch is itself a significant milestone, but it’s only the first step of the probe’s seven-year journey. The mission is a joint effort between the European Space Agency and the Japan Aerospace Exploration Agency. The twin European/Japanese satellites inside BepiColombo’s special carrier shell will soon begin zooming towards the inner solar system. The sun’s gravitational pull will make the probe move faster as it approaches Mercury, so a major challenge will be ensuring that BepiColombo can brake enough in order to orbit Mercury. Braking will require a series of challenging planetary flybys — once past Earth, twice past Venus, and an incredible six times past Mercury, with the first of these occurring in 2021. If everything precisely lines up, then BepiColombo should finally establish its orbit in 2025. Coordinating a planetary flyby is a feat of engineering. It’s a common technique to explore the solar system, but investigators need to precisely thread the needle. The idea is to use each planet’s gravity to slow BepiColombo down as it passes by. But if BepiColombo’s gravity assist moves it in the wrong direction, the spacecraft must burn precious fuel to adjust its path. There’s also a very tiny chance that the spacecraft could be so badly misdirected that it will crash into a planet’s surface. Tracing precise paths in space is only one of BepiColombo’s concerns. Another is making sure that it doesn’t roast in the expected operating temperatures of 350 degrees Celsius (662 degrees Fahrenheit), which is more than three times the boiling point of water. “Eighty percent of our [existing spacecraft] material needs to requalify for this mission because we haven’t tested it before in this harsh environment,” noted BepiColombo project scientist Johannes Benkhoff. But the scientific risk will be well worth it. Mercury’s location makes it difficult to study, so past spacecraft mostly engaged in flybys. NASA’s MESSENGER (Mercury Surface, Space Environment, Geochemistry and Ranging) spacecraft did get into orbit, but was very far away from the southern hemisphere. The hope is that BepiColombo can view both hemispheres of Mercury in equal resolution. 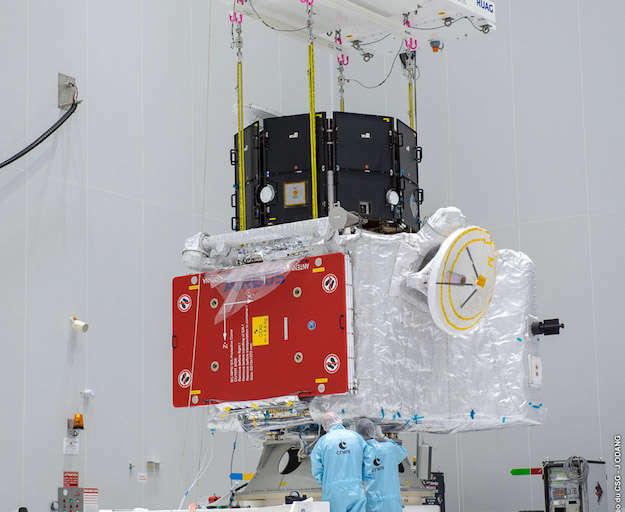 BepiColombo’s two satellites will separate shortly before moving into orbit and then start their separate scientific investigations. Europe’s Mercury Planetary Orbiter will focus on gathering imagery and data on the planet’s surface, while Japan’s Mercury Magnetospheric Orbiter will learn more about how Mercury’s magnetic field interacts with the sun. This mission aims to determine some basic information about Mercury: how it formed, how it changed over the solar system’s history, what the interior of Mercury looks like, and even if the planet is still volcanically or geologically active today. BepiColombo’s arrival will undoubtedly bring new information to light. One of the highlights of MESSENGER was confirming the presence of water ice in permanently shadowed craters at the poles. While BepiColombo will follow up on MESSENGER’s investigations, it will also find data that we can’t even imagine yet. It’s all part of a larger quest to better understand the solar system. As engineers directed spacecraft this year at places such as Mars and a little asteroid called Ryugu, one of the goals is learning how our neighborhood changed over the eons. It helps tell us a little bit more about the Earth’s origin story. To explore solar system worlds, the science requires risk and bold engineering. Even if BepiColombo only partially fulfills its objectives, the knowledge that researchers gained in designing and launching the spacecraft will be applied to future missions. 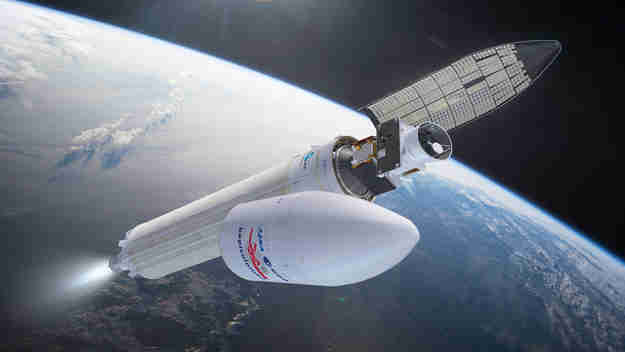 And that will make BepiColombo noteworthy in space exploration, regardless of the outcome.